At ABC, our preschool curriculum involves children in a joyful, absorbing, and growing awareness for the world around them. We believe that your child should enter grade school ready to build on their previous learning experiences. That is why our program grows more and more advanced as the child develops. 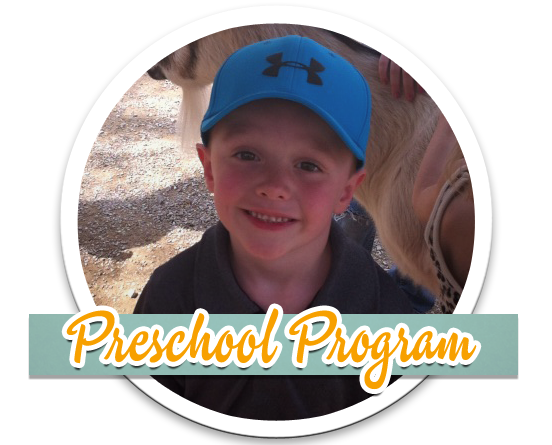 Our preschool program is from 9:00-11:30 am. The children will thrive in our structured, teacher directed environment. ABC’s program has a variety of learning activities that include phonics, letter recognition, shapes, colors, numbers, math and science. We also integrate fine and large motor skills and Sign Language. Each classroom starting at age two participates in weekly Spanish classes, computer and Smart Board classes, daily Phonics, as well as daily reading readiness programs. This ensures that the children are prepared for their journey into grade school. Social skills such as creative problem solving, conflict resolution and collaboration are enhanced in ABC’s program. Children and teachers work together to design and direct projects which encourage growth in physical, emotional, creative, and intellectual domains. Children learn to express themselves verbally, socially and through writing. Each preschool classroom is arranged in learning centers that are organized according to their developmental needs. The learning centers include art, music, dramatic play, manipulatives, computer, science, math, reading, and writing areas. These areas allow for the child to have access to a multitude of materials, and they allow for the establishment of independence through allowing your children to choose the activity in which they would like to participate. Our lead teachers rotate to classrooms ages 3-Pre k to teach core subjects including math, science, language, and literature. This practice of academic rotation helps familiarize children with the rotating schedules they will experience when they enter elementary school. Our preschool program ends each year with a graduation ceremony where all our ABC school locations come together for a celebration of fun and entertainment. ABC’s program has a variety of learning activities that include phonics, letter recognition, shapes, colors, numbers, math and science. Children learn to express themselves verbally, socially and through writing. Each classroom participates in daily phonics and reading readiness programs, preparing your child for a life long love of reading!